Try this one for a little variety. Instead of writing specific sets, have swimmers draw playing cards from a deck to determine what stroke, distance (with instructions), and number of repeats to do. 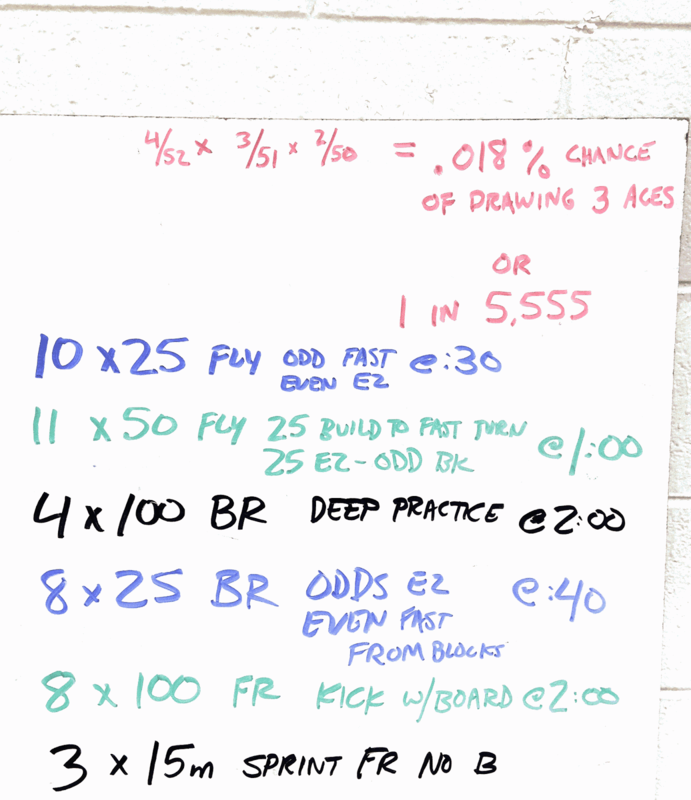 One swimmers draws the three cards, then the group does the set. Repeat as long as you wish. The first picture below is the layout for the conditions of the card picking. The second picture explains the sets that we ended up doing in about an 80 minute practice. The likelihood of getting 3 aces is about .018%, or 1 in 5,555. But there is still a chance. Is it posssible to get the first picture reposted? Yes! Will try to get this fixed later today. Thank you for your patience.